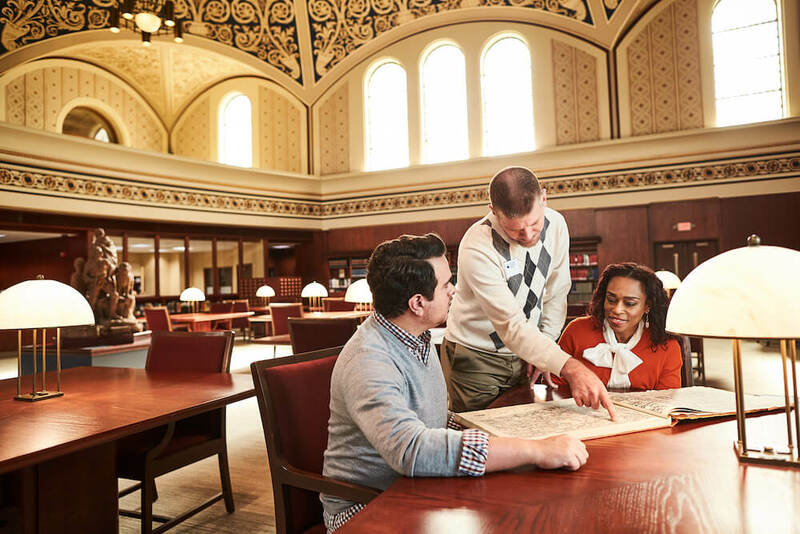 The Missouri History Museum, Soldiers Memorial Military Museum, and the Library and Research Center create personal connections to St. Louis history through innovative group tour offerings. Formats include gallery tours, curator talks, and step-on bus tours. 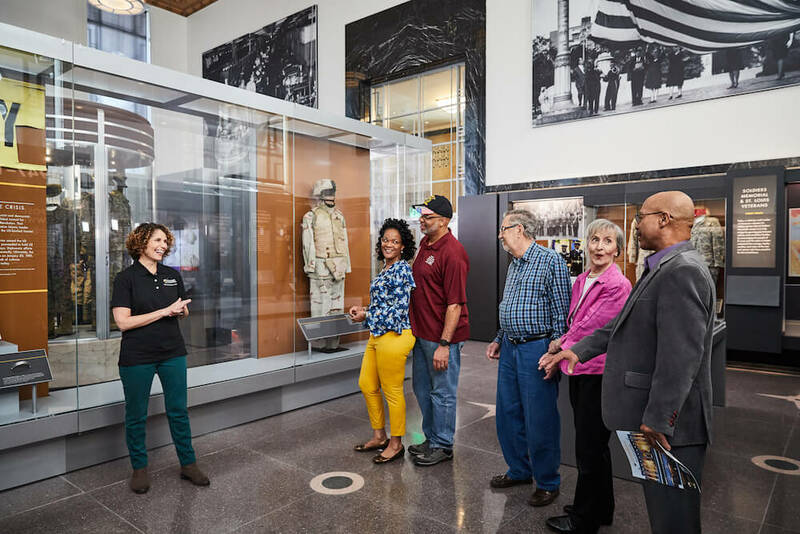 Visiting groups can customize their experience with an assortment of options, including free self-guided gallery time, step-on tours, museum theater performances, private curator talks, dining, and souvenir orders. At the Library and Research Center, Goldman can arrange for a curator to pull artifacts from the collection. 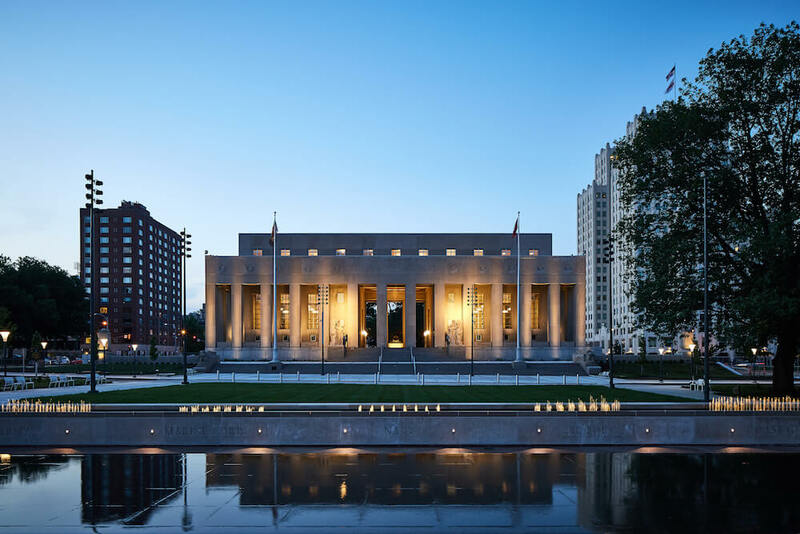 The Show and Tell tour offers an introductory architectural talk about the building’s history, formerly a synagogue, and showcases highlights from the library and archival collections. Possible topics include the 1904 World’s Fair, maps, amusing documents, or specific industries, such as brewing, fashion, or the fur trade. Groups may also request a topic of interest, if the collections support it. One month’s advance notice is required for this experience. “We can pull out one of the elkskin journals from the Lewis and Clark Expedition, or Lindbergh’s flight book,” she said. 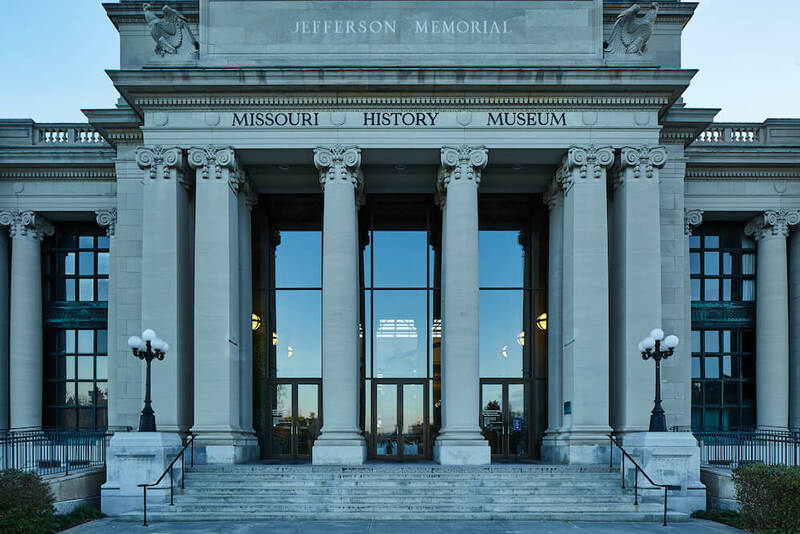 Visit mohistory.org/group-tours to book your group today!